TPC Trikes - FAQ - What do I send? A. Yes. For conversions, you will need to send us your frame and we will convert it. If you do not have a frame to convert, we can provide one for an additional charge. 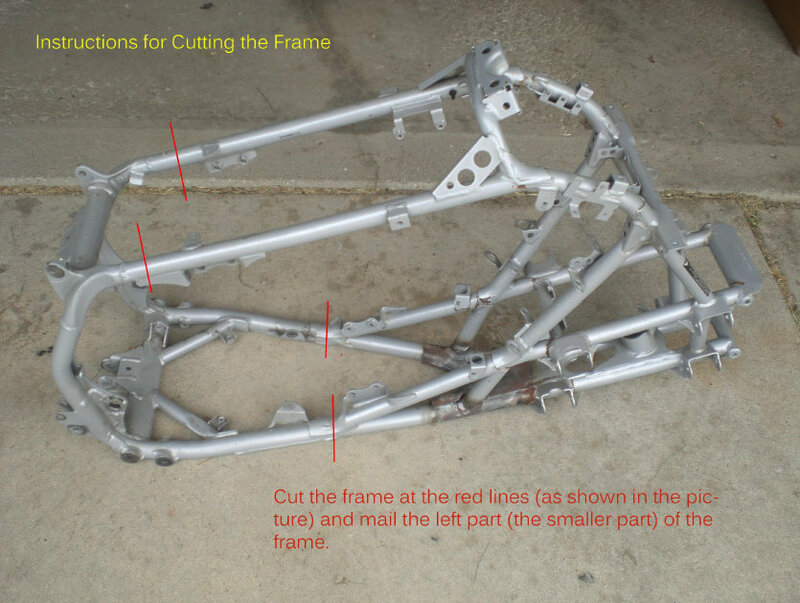 To save on shipping, you can send us only the part of the frame we need. See picture below for instructions on cutting the frame.